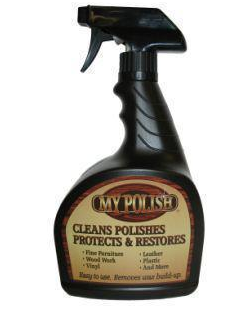 Metal Works cleans, shines and protects surfaces. 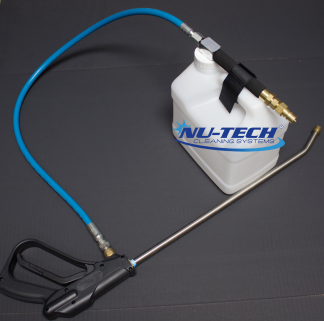 It’s an excellent multi-purpose product designed to fill in minor scratches and leaves a beautiful satin gloss to stainless steel and metal surfaces. Metal Works leaves an invisible protective film that resists smudges, fingerprints, and further soiling. 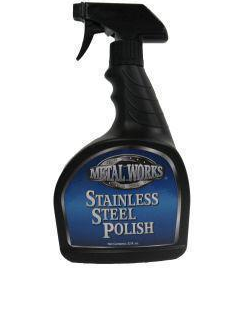 Metal Works is high quality stainless steel cleaner and polish. Metal Works fills in small scratches, removes soils and leaves a streak-free shine. 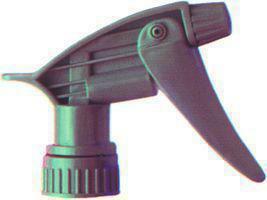 Apply with a pre-dampened soft cloth or through a trigger sprayer to surfaces. Rub lightly to spread solution over entire surface. Polish with a clean dry cloth. Use Metal Works on stainless steel, appliances, chrome, filing cabinets, and other metal surfaces. Use Metal Works Stainless Steel Polish on stainless steel, appliances, chrome, filing cabinets, and other metal surfaces.